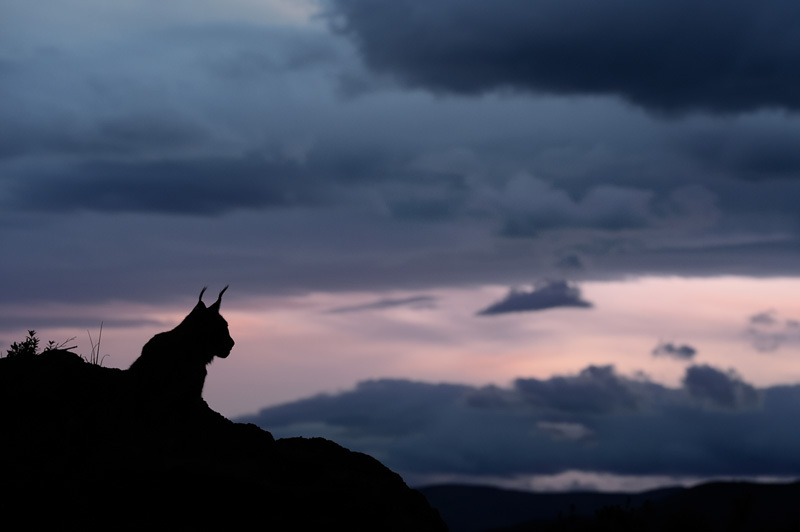 For this shot of a Eurasian lynx (Lynx lynx) I waited for the sun to set to add some color to the clouds and to turn the lynx into a silhouette. The Eurasian lynx is the largest of the four lynx species, and it is the third largest predator in Europe after the brown bear and the grey wold. This image was shot in the north of Spain.